Newcomer Family Obituaries - Patricia A Davis 1948 - 2019 - Newcomer Cremations, Funerals & Receptions. Patricia A. Davis, 70, of Columbus, passed away February 5, 2019. Patricia was born March 27, 1948 to Lewis and Doretha (Hicks) Davis. She enjoyed word search puzzles, watching t.v., dancing and shopping. Patricia enjoyed attending church. Patricia will be deeply missed by her; son Eric Davis; brothers Lewis Davis Jr., Ben Davis, Rodney Davis; sisters Margaret Brown and Lori Banks, along with many nieces and nephews. Patricia was preceded in death by her parents, brothers Charlie Davis and Larry Davis. Visitation will be Tuesday, February 12, 2019 from 9am to 10am at St. Augustine and Gabriel Catholic Church 1550 E. Hudson St. Columbus. Mass of Christian Burial services will follow at 10am at the church. Add your memories to the guest book of Patricia Davis. 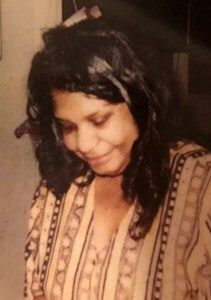 My Aunt Patricia will be forever loved and missed! She was truly an Angel from Heaven I’m so blessed to have you forever in my heart and my memories!